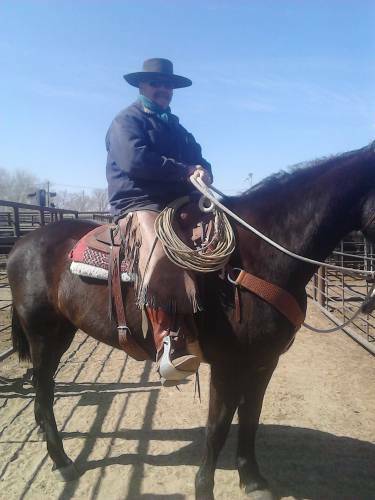 Ranch hand/Farrier seeking permanent full time job. My name is Chris Logan. I am 49 yrs old, divorced ranch hand, Farrier that is seeking full time permanent position on your ranching operation. My contact number is 580-216-9121. I would like to go back to the north /Northwest area of the U.S. I have worked ranches in MT, WY, COLO, Utah, Nebraska, California ect. I have experience prowling cow/calf, yearlings, feedlots. I have experience with irrigation ie, wheel lines, hand lines, flood and pivot. I have operated multiple tractors, bailers, backhoes, front end loaders, anything to do with ranch work. I am able to weld and can do some mechanical work. I have owned my own operation and a shoeing business so I do know hard work and am a self starter. I can work by myself and as a team without needing a babysitter. If this information helps please get a hold of me. I am currently in Oklahoma. Came to meet my son and help him get his place up and going. I do have a current Montana drivers liscense.